Today, more than ever, we should be fostering global networks not building boundaries. Our prospective and current students expect nothing else as they seek qualifications to advance their futures. In 2018, I foresee more institutions focusing on this term: Employability. 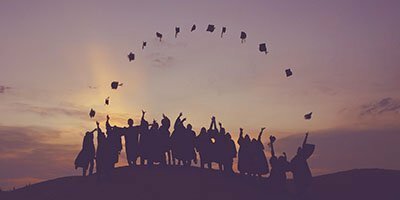 Employability is not the same as gaining a graduate job; rather, it implies something about the graduate’s capacity to function in a job, move in between jobs, and remain employable throughout their life. Employability is further quantified by competitive wages offered for skills and experiences that are in demand. Recent research shows post-study work options are a major factor in studying abroad. Moreover, around the world, both institutions and governments alike have set ambitious goals to increase the number of international students. The scale of interest, needs, and opportunity will proportionally increase. Global alumni relations programs should be an important catalyst to help meet the rising desire for students experienced today and forecasted for tomorrow. After all, number one factor of any relationship is word of mouth – the personal identification that comes from the affinity drawn from being part of a group. Yes, programs can facilitate solutions that are based on strong relationships with alumni but do all universities have the capacity to partner with alumni on the employability agenda? Is there interest across campus for affordable and accessible training? Would a global alumni relations coach be welcomed at this time? After writing three books on the topic of Global Alumni Relations, I have moved to the online market and published the Global Alumni Relations Course. Brought to market by Academic Assembly, Inc. the course is a first of its kind and aims to focus on what is most important to know today when engaging global constituencies. Specifically, the Course’s module 11 responds to the definition of “employability” with examples of how international and domestic alumni play a key role in preparing the next generation of global leaders. Global alumni relations, student mobility and employability go hand-in-hand in today’s global economy. Student mobility is promoted through scholarship programs, study abroad experiences and opportunities to apply academic competencies to a real life job setting. Alumni have the best lens to predict the future of education and training. Alumni can help education institutions (and governments) understand the needs of industry. This year institutions can resolve to build upon their relationships with alumni as they invest in career services for both international and domestic students. And it is equally important for institutions to remain vested partners in the career trajectories of their alumni. More often than not, resolutions fail because we lack support systems, confidence and will. Institutions cannot expect alumni relations offices to manage the employability agenda alone. Successful Advancement and institutional leadership realize the importance of collaborative working environments between central and school-based alumni relations, enrollment management, and career services (to mention a few). Those that apply adequate resources (staffing, training, strategic planning) will rise to the top in this critical area. Beyond the next 12 months, what will education look like in 5-15 years? There is “legacy thinking” and “future thinking.” Legacy thinking is the old way of doing business: bricks and mortar; traditional classroom and seminar settings; higher education institutions training graduates for jobs. Future thinking is about ‘intersectional innovation’ and more distance education models. Future thinking brings academe and industry together to figure out the best models for training graduates to fulfill the job needs in the future. Alumni are the future of organizations; our past is our future. How do alumni see the future of education and training, and how do they define employability? I believe alumni can help institutions (and, governments) understand the needs of industry and be part of the ‘intersectional innovation’ that will be required for higher education institutions to best sustain their student enrollments and, in short, to survive. Intersectional innovation will only be achieved when institutional units break through their own silos and work together.